If you are searching for “Electric Panel Cover Replacement“, “Electric Panels Upgraded“, “Electrical Panel Replacement” or “Circuit Breaker Panel Replacement” in Albany or Troy, NY, Lammon Electric can help! Is your home electrical system up to date? The answer is likely no. The appliances and gadgets they are making these days overload electrical systems in older home, causing problems that could easily be fixed with a new electrical panel upgrade. Your home’s electrical panel helps provide electricity to your entire home, gadgets and appliances. Power from the utility company flows through this panel and branches out into major electrical branches, transferring into small branches in order to distribute the right amount of power. Having your electrical panel upgraded in your home is essential to provide safety for you and your family. Where is the electrical panel located in your home? Electrical panels are mounted in utility rooms, garages, basement, laundry rooms or closets. Although, if you can find it inside, your electrical panel may be located outside. If your home has any of the following symptoms, it’s time for a new electrical panel? The electrical panels made from the 1990’s all the way up to 2015 are designed for safety but any panel installed before 1990 should be replaced because panels before that time may have started to deteriorate causing safety issues for the home occupants. If your home is using any of the below electrical panels, you might need to have your electrical panel upgraded as soon as possible to avoid potential danger. These panels were made from 1950 until 1980, they have manufacturing and design flaws that can create shocks or fires. In documentation put out by the US Consumer Product Safety Commission, the presence of any electrical panel made by Federal Pacific is deemed a safety defect and should be replaced with a new electrical panel. These panels haven’t been made since the 1970s, and for good reason. Zinsco panels made in the 1970s have manufacturing flaws that allow your homes electrical power to flow even when your circuit breakers are off. It also causes your circuit breakers to melt, keeping them from functioning properly. These panels pose major fire and shock hazards and need to get replaced with new electrical panels. These panels are known for having weak breakers that can’t be reset after a certain period of time. They also don’t have a main breaker which keeps power from flowing into the panel. Most fuse boxes are only designed to handle up to 30-60 amps of power, however almost every appliance made these days require higher, around 100-200 amps of power or even higher. This poses a huge electrocution and fire risk. Contact Lammon Electric LLC® to get your older home’s electrical system inspected. Our electrical contractors can help prevent electrical emergencies and keep your family protected from unwanted fires and shocks. 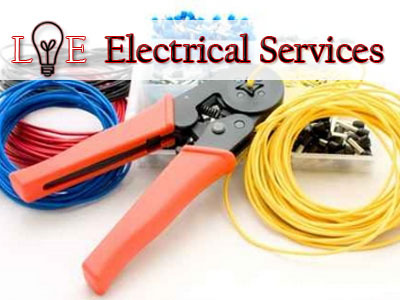 If you are searching for "Electric Panel Cover Replacement", "Electric Panels Upgraded", "Electrical Panel Replacement" or "Circuit Breaker Panel Replacement" in Albany or Troy, NY, Lammon Electric can help! Thanks so much for sharing this advice on when to get your electrical panels upgraded! I had no idea that flickering lights could be a sign that you need to upgrade. Lately, I’ve been noticing that happening in my living room and kitchen, but it just seems like all of those lights need to be replaced. If they continue to flicker after I replace the bulb, I’ll be sure to look for a contractor to take a look at my panel.